Early days in the Norfolk season beginning the 2nd weekend a handful of games played in Division One, a good start to the campaign for Thorpe United Ladies though as they make it 2 wins from 2 to start the season to go top of the fledgling table. A 2-1 home win over last season’s Champions, Bungay Town Ladies on opening weekend was another 2-1 success on the road this time around against Gorleston FC Ladies who themselves had started the season with a 2-0 away to Sprowston Ladies. Goalless in the first half at Emerald Park, goals from Rebekah Lake and Aneliese Smith the difference for Thorpe United as they clinched a 2nd successive win, Mary Croft on target for Gorleston. Beccles Town Ladies had started their life in Division One with a 4-2 loss away to a reformed Aylsham Ladies on the opening weekend. Were at home this Sunday taking on Wymondham Town Ladies beginning their season. Beccles coming out on top by the odd goal in five the sides drawing 1-1 at the break Beccles going on to claim their first 3 point haul with a 3-2 victory. The goals scored by Francesca Heaney along with a brace for Lucy Robbens. Another high scoring weekend in Norfolk Women’s Division Two as sides begin to find there feet in the league. 3 sides maintaining a 100% winning start to the season. Bure Valley Wildcats starting with a massive 17-0 win last Sunday against newcomers Bulldogs Ladies were again taking on Thetford opposition with a trip to Thetford Town Ladies who themselves had begun the season with victory. A 2-0 advantage for Bure Valley at the break, Thetford suffering from a couple of injuries 2nd half as Bure Valley went on to take full control of the game winning 8-1, had 4 players each claiming a brace Kiera Brown, Charlie Cooper, Juliette Kelly and Carrie Last. Chloe Bentick getting the consolation goal for Thetford Town. A 4-0 win over Tavern Ladies at home for Fakenham Town Ladies on the opening weekend of the season, were on the road for the 1st trip of the season this Sunday up against Bulldogs Ladies. An eventful game having been beaten 17-0 in their opening fixture Bulldogs bounced back well taking a 3-1 lead in the match before Fakenham mounted a comeback and went on to win the game 8-4. Two penalties in the match. Emma Johnson netting a hat-trick for Bulldogs Ladies, so too did Fanny Danskanen for Fakenham with Sam King scoring twice, Sian Sands the other goalscorer plus and own goal. 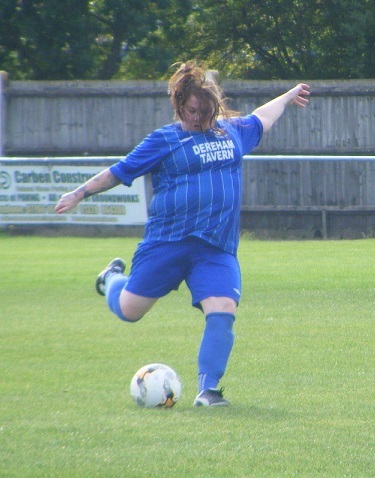 Long Stratton Women also starting their season with 2 wins from 2 are 3rd in the Division Two table, a goal feast away to Gorleston Rangers Ladies on the opening weekend seeing Long Stratton win 9-5. Were at home this Sunday entertaining new side Hockering Ladies as they got their season underway. Long Stratton getting the result courtesy of a brace from Samantha Walker along with a goal each for Emily Watts and Beth Stratton. 4-0 the final score. Taverham Women began life in Norfolk Women’s Division Two with a goalless draw away to Freethorpe Ladies on the opening weekend. Were on home turf for the first time this Sunday hosting Gorleston Rangers Ladies. A comfortable first half saw Taverham into a 4-0 lead went on to double that score 2nd half to win match 8-1. Abbie Walker top scoring for Taverham opening her account with 5 goals. Rebecca Sutton beginning with a brace with Maya Lawlor also scoring. Lauren Dennis with the goal for Gorleston Rangers. This entry was posted in Norfolk Women's Division One, Norfolk Women's Division Two, The Round-Up and tagged Norfolk Women's Division One, Norfolk Women's Division Two, The Round-Up on September 19, 2018 by WFEast.